I’ve always loved the phrase “kill your darlings.” It’s a piece of writing advice handed down through the years that encourages authors to cut out parts of their stories—even their favorite parts—when necessary to improve their novels. (For the nerds like me, Slate put together a great history piece about the phrase.) In this case, our darlings are going to be secondary characters. Secondary characters can be hard to write. Your main character(s) will have change, growth, and momentum throughout the story, but many secondary characters don’t get the same treatment. In fact, they often end up sidelined. It’s a curse of storytelling—you can’t focus on every detail of every character and write a good book at the same time. Readers don’t expect your secondary character isn’t the star of the show, but they will notice if that character is underdeveloped. So how do you know when your secondary character necessary to your story? We’ll use the STOP method (patent pending) to ferret out useless characters. If you answer “yes” to the questions below, it may be time to kill your darling. If your character doesn’t experience any inner change, you have a static character. There’s nothing wrong with writing someone who is stubborn or unwilling to accept change—those are character traits that can be explored. A true static character ends up being flat and one-dimensional in a way that isn’t interesting to the reader or useful to your story. These characters are the product of too little attention rather than being an intentional choice in the writing. Is your character… a TROPE? Stereotypical characters pop up in fiction all the time. If you can subvert those stereotypes or use them to make a point, more power to you. If you’re using a stereotype as a shorthand because you’re not getting creative, kill that darling. A personal pet peeve is the “mean girl rival” trope: the super popular, super pretty, super mean girl who is vying for the same things as the heroine (usually a guy). Yes, there are mean girls out there. But are they all blonde with long red finger nails, three-inch heels, and an evil sneer? No. If you’re going to write a character who falls into a stereotype category, break outside the mold. Give them depth, motivation, and their own personality, even if it’s a mean one. Is your character… a ONE AND DONE? First, let me say it is possible to have strong characters who only appear once in the novel. However, if you have a character whose only line is “Hello!” or who interact with your overall story in a meaningful way, they probably aren’t vital. The true test here will be to see how much of an effect this one appearance has on the rest of the novel. If this character causes a ripple, keep them. If they pop in and out of existence without so much as a blip, kill them. Is your character… a PLOT DEVICE? Characters should certainly influence your plot, but no character should exist for the sake of plot. A plot device is a quick fix, a workaround, and using a character solely to advance your storyline is—quite frankly—lazy writing. You have to think of your characters as real human beings (or real aliens or animals or monsters) who have hopes and dreams and fears and their own stories. They cannot be picked up and dropped in the middle of a scene because you don’t know what to do next. Find a natural way to move your story forward, with or without that character. When it comes to writing secondary characters, there is one all-important rule: Make each character count. STOP writing characters who don’t count, and start writing ones who do. When a book gets acquired, it goes through several rounds of editing. This process goes beyond proofreading and copyediting—an acquisitions editor will go through the entire manuscript and look at plot, character development, pacing, and all kinds of other big-picture elements. This is called a developmental edit or a macro edit, depending on the publisher. And when the acquisitions editor is done, the author gets an edit(orial) letter. Edit letters can be scary! Authors get a document telling them all things they need to do make their book better after spending months—maybe even years—writing and editing and polishing a manuscript. Yikes! 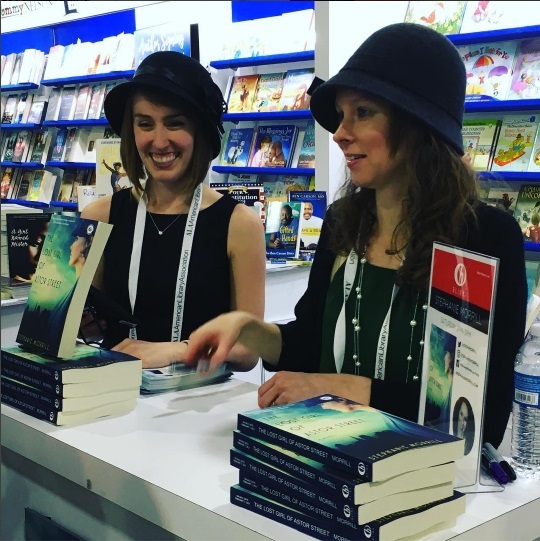 Reblog: What an aspiring writer needs to know about editing, marketing, and publishing: An interview with editor Jillian Manning! Jillian and me at the ALA Midwinter Meeting. Wouldn’t we have been great flappers? Jillian was gracious enough to take time out of her schedule to answer a few questions for me about the unique struggles of trying to get your first book published. I wish I could have read her detailed answers back when I was a flailing and confused aspiring author! Finished your book? Starting to query agents and editors? Wondering how you can stand out from the slush pile? Check off these seven steps before sending off your manuscript, and you’ll be well ahead of the game. It happens to all of us, that agonizing moment when you sit down to write and…nothing happens. You try all the tricks you can think of to break the cycle, but the words just aren’t coming. Instead of banging your head against the wall, try the 10 activities below. Some get your creative juices flowing, some engage your research skills, some are just plain fun, and all them allow you to keep moving forward with your manuscript without actually writing the text. And who knows, maybe you’ll be back at your keyboard before you reach #10. Take it from the girl that has five overflowing bookshelves (not counting the ones in my office or the boxes stashed away in friends’ and family members’ basements): You can never have too many books. But if you are an aspiring writer, or even a seasoned one, there are 15 must-have books that will help you take your craft to the next level. Check out the list below, and add your favorites in the comments section. 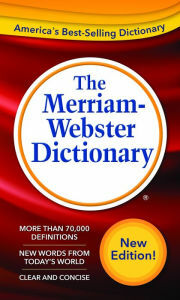 This is the go-to dictionary for the publishing world. “Chapter 1.” Two magical words that give no indication to the hours upon hours authors spend perfecting those first few pages. Without a captivating opening chapter, writers don’t make it past agents, editors, or readers. Here’s how you can nail writing the beginning of your story. For those of you wondering about all the acronyms and lingo used in the publishing world, here are more than 60 popular publishing terms and definitions. I trust you already know your hardcovers from your paperbacks, so be prepared to learn some real publishing jargon. Have a word you want defined? Ask away in the comments section! Acquisition: When a book is selected for publication by an editor. Advance: The money paid to an author before the book goes on sale. It is called an advance because it is an advance against royalties…authors have to earn out the value of their advance before they can start earning royalties. Agent: A representative of an author who wears many hats: editor, life coach, contract manager, deal broker, and more. ARC: Advance Reader Copy, or an early proof of the book for readers and reviewers. I recently had the pleasure of hosting an open call for submissions through the Society of Children’s Book Writers and Illustrators (SCBWI). In one month, I received over 800 submissions for picture books, middle grade, and YA. I wanted to make sure I gave each book the proper time and attention, but 800 is a lot! I usually know within a few sentences of the email submission whether or not I am going to keep reading, which means first impressions are absolutely vital. In the end, I only brought about 10 manuscripts before my acquisitions board. For those of you with math skills like mine (meaning I had to use a calculator), that’s just 1.25 percent.